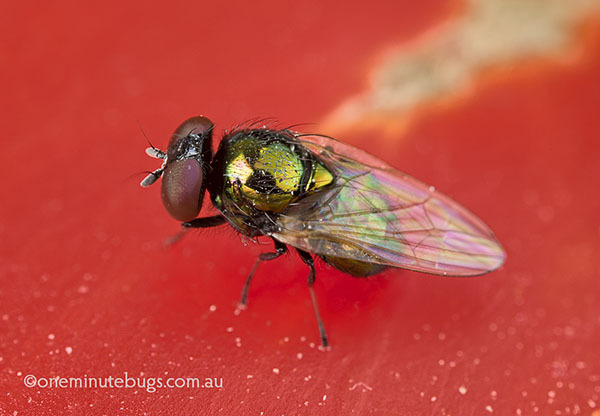 Queensland fruit fly (Bactrocera tryoni) and Mediterranean fruit fly (Ceratitis capitata) are known to lay their eggs in tomatoes, but neither of these species is found in my region of Victoria. 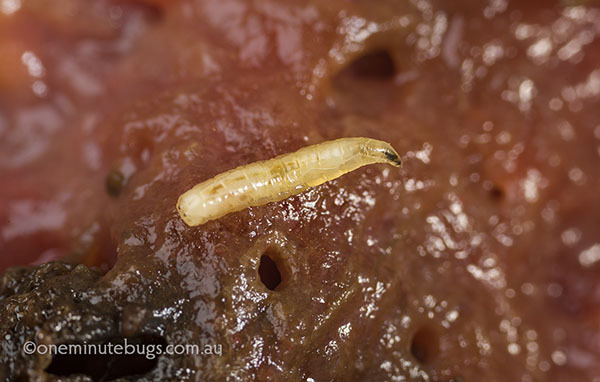 The larvae of vinegar fly (Drosophila melanogaster) – known in America as “fruit fly” – feed in fallen rotting fruit, but this tomato was on the plant. So what species of fly produced the larvae? I put the offending tomato in a plastic container and waited. Over a few days the larvae grew bigger, allowing me to take the photograph above, and started to jump around the container. I knew this was a sign the larvae didn’t want to be in the moist tomato pulp anymore, and were looking for somewhere dry to pupate. I shepherded as many jumping larvae as I could into a dry container with some tissue paper at the bottom, and by the following day they were all pupae. The flies haven’t emerged yet, but I know what species they are because I went through this same exercise last year. Behold, the metallic-green tomato fly Lamprolonchaea brouniana (Diptera: Lonchaeidae). These little flies are only about 4mm long, so they might be a bit hard to see in the garden. The good news is that, in my garden anyway, they are not in very large numbers and don’t lay eggs in every tomato. It is an endemic species that has been most commonly collected from the temperate south. 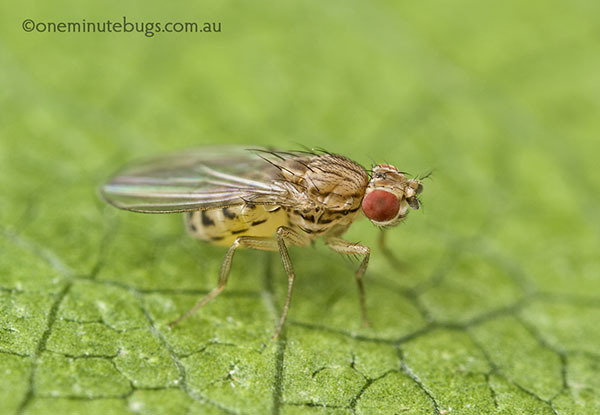 Those wanting to learn more about this pretty little fly could jump onto the Australian Fauna Directory here. One more thing about the vinegar flies mentioned above. Don’t be alarmed if you find lots of little flies in your compost. Vinegar fly larvae help with the decomposition process. You don’t need to “get rid of them”! Vinegar flies are about 3.5 mm long and look like this (below). This entry was posted in damage, fly, pest and tagged Diptera, Lamprolonchaea brouniana, Lonchaeidae, metallic green tomato fly by denisjc. Bookmark the permalink. 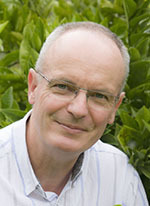 ← Previous Previous post: What’s good about ants? Plenty.